Results: 1 to 10 of a total of 45 results. Does greeneyedlady58 belong in this group? Does jay2308 belong in this group? uh... hate is a strong word, but honestly I really don't like Kansas. I grew up in Casablanca, Morocco as a boy and was born in California. this state is just too conservative for me. but it is where I live, and so I might as well make the most of it. my favorite place in Wichita is at the Keeper of the Plains statue on the river. Does archangel619 belong in this group? Does polite222 belong in this group? Does xxrootsxx200 belong in this group? Does pimphard1976 belong in this group? Does marsh42 belong in this group? Just a essy place to live I always made trips down here from wisconsin as a kid. all my relatives live here. been in florida, dallas and here now 25 years.like to go around the lake and drives in the country. you have all 4 seasons not necasrily in order...lol! Does shawneeboy belong in this group? 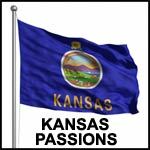 New to Kansas Hi, I am a newbie to the Kansas world and would like to meet people there. Does stephenssusie10 belong in this group? Gearhead Chick Grew up here and it just feels like home. Does kda1974 belong in this group?